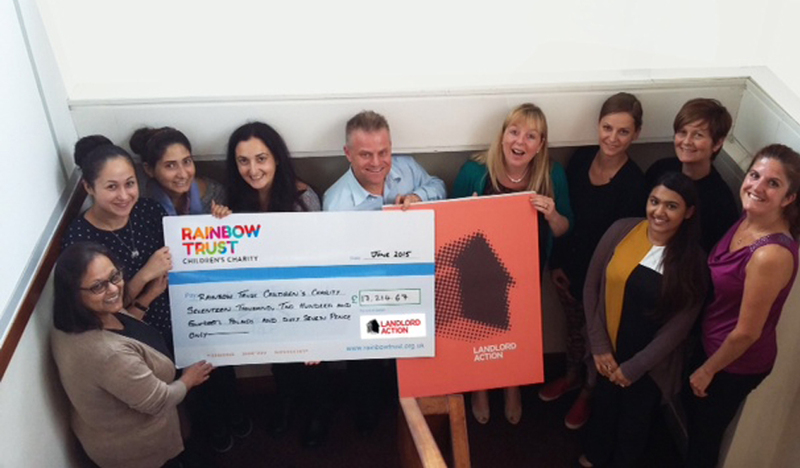 Following the success of the inaugural property industry fight night, organisers of White Collar boxing event, Rumble with the Agents, presented Rainbow Trust with £17,214. The sell-out summer event, hosted by Landlord Action, took place in North London and attracted 300 estate agents, landlords and property developers. The event was held at The Holiday Inn, Finchley and included dinner, six fights and an auction hosted by former British boxer, John Conteh. Guests dug deep, bidding for some incredible memorabilia items including signed football boots from John Terry and signed gloves by ex-boxer Ricky Hatton.